Alex' Homepage » Finished thesis writing ! 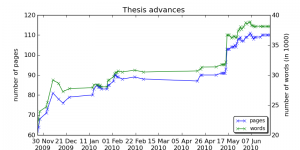 I finished writing my PhD thesis. Now I’m getting ready for the thesis defense which will take place 31 July. I added the final statistics of my writing advances. 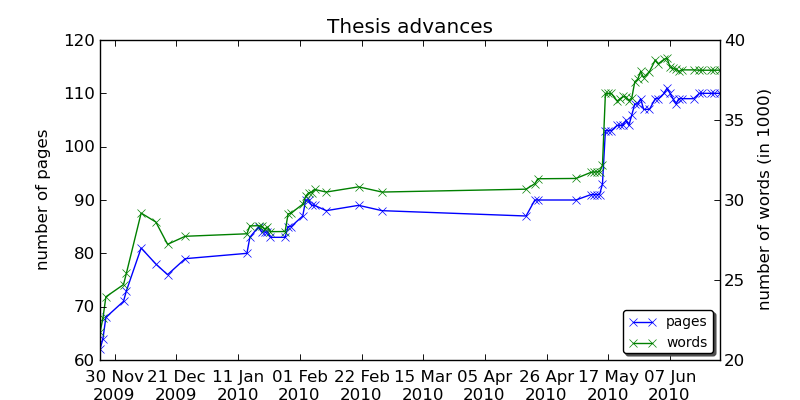 These are the final statistics of my thesis writing advances.